Exposures : 200gain 22offset 224 minutes (Ha 40 x 120s Oiii 36 x 120s Sii 36 x 120s). Last edited by nexusjeep on Sat Dec 29, 2018 9:57 am, edited 1 time in total. Since buying the new camera we have only had one clear night so the curse still holds. At least now you can build a darks library - no more graveyard shifts with the cap on the scope. 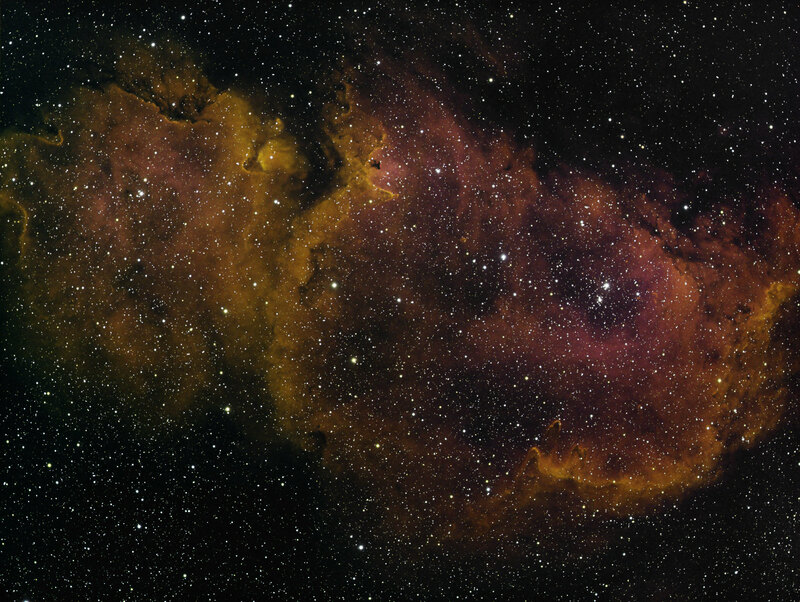 that's a fabulous image for a first try with narrowband – well done indeed!